Yes you got it! 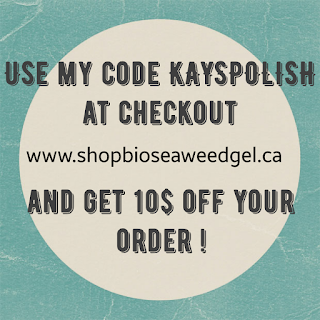 Bio Seaweed Gel is having a HUGE sale on their website right now and it will only last until March 17th. but that is not all! As I am now a proud and happy brand ambassador for them I can even help you save more! 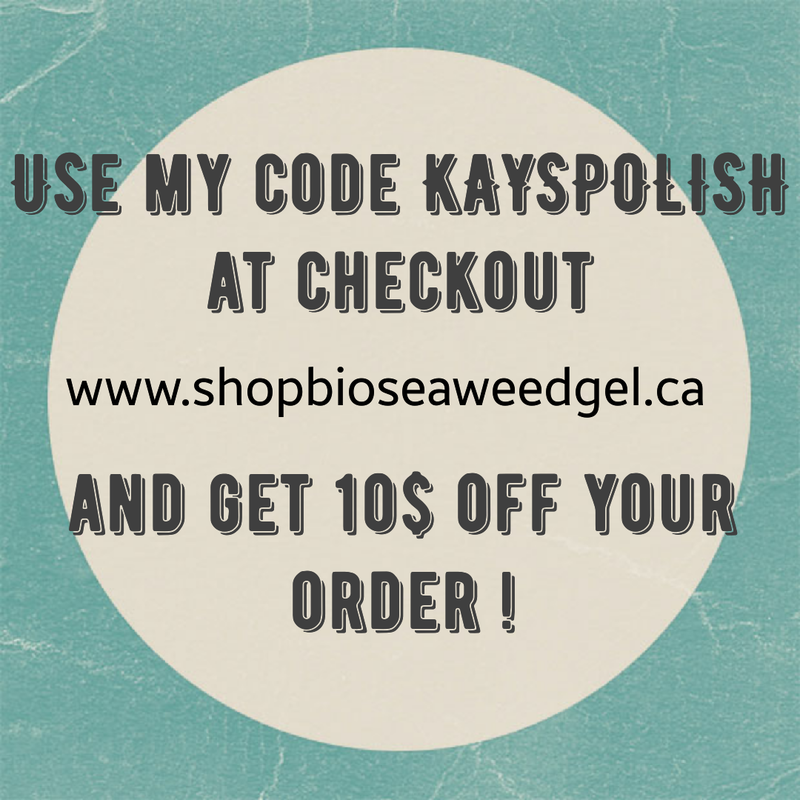 They have been kind enough to give me a promo code which can be used at www.shopbioseaweedgel.ca and ''.com'' depending if you are located in Canada or in the US. By using this promo code, you will save another 10$ from you purchase. Don't we love when promos can be combined? Well now is the case and the perfect time to try out the BEST gel polishes on the planet as they are BIG-5 Free and completely healthy for your nails as well as being vegan friendly. SWEETIES THAT MEANS A GEL POLISH OF YOUR CHOICE ENDS UP COSTING YOU ONLY 3,50$ CAD! In other words, there is no time to loose. If you haven't tried their amazing products yet, now is the PERFECT time! Professionals no worries you are never left appart, there are also amazing promos for you when you call in and you can always get a free No-Wipe top coat with all purchases of 100$ and more ! Hope you can take advantage of this amazing sale!